Let Us Argue About Food. Be Nice. Let’s take the threadjack from the Nazi P&R thread here. Any chance we could move posts from there to here? It will never end there unless we do that. Have I ever told you how much I like you, Brian? Look at least we can all unite in mocking Ohio. Their local favorite is garbage chilli max. You heard me Cincinnati, your chilli mac is terrible. Fast food better. Detroit-style pizza is actually awesome. It’s all about the burnt cheese on the edges. I thought maybe, for a moment, we would be able to unite in how terrible Ohio food is. But, no. To be fair I’ve only been THROUGH Ohio, as one should never go TO Ohio. That’s just unseemly. If you have to eat it with a fork , its not pizza. 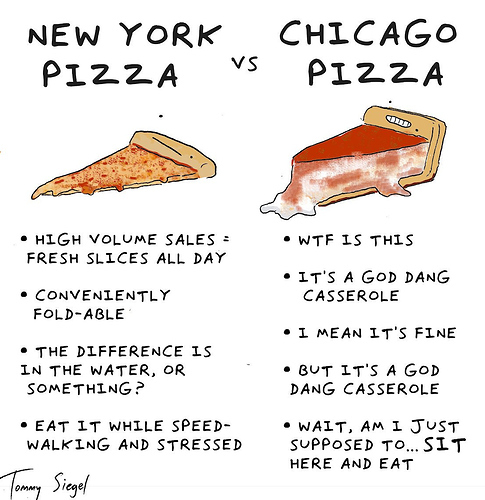 I always think of Chicago style as a variety of lasagna, or maybe casserole. Something multilayered, anyway. 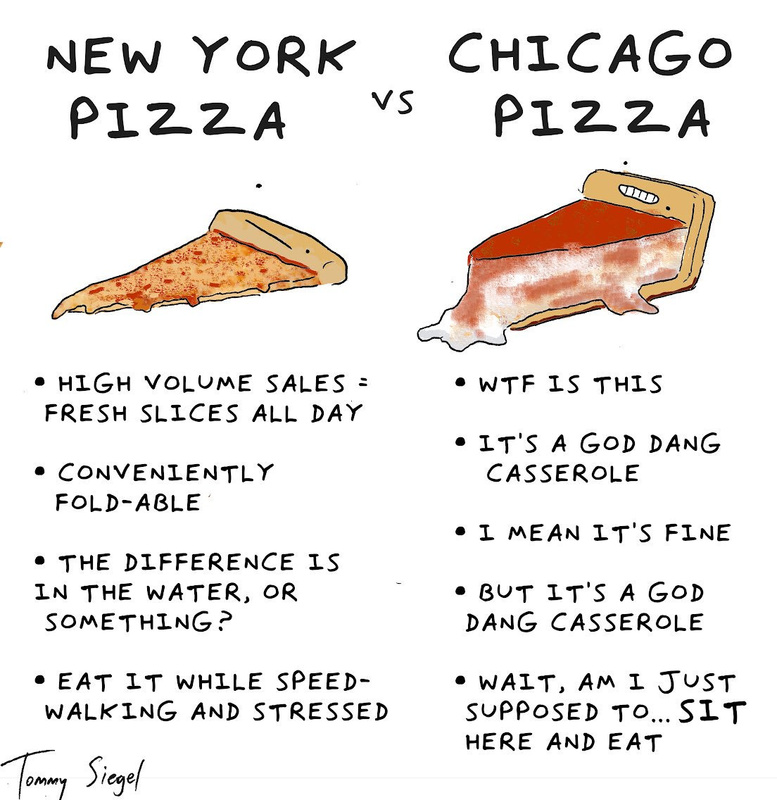 @Mark_Asher is wrong about St. Louis style pizza. It’s absolutely unacceptable as pizza. Pizza needs sauce, and St. Louis style barely has any. The only pizza I’ll accept from that city is from Pi, a place downtown. Which I had twice this weekend, and is awesome. Cornbread deep dish. Mmmmm. Wait - I thought this thread was on pizza. Why are we discussing tomato quiche and casseroles with strange regional names? Come now, you live close enough to Chicago to know better. I never knew quite how many pizza heretics there were here. I thought better of you Qt3, I really did. 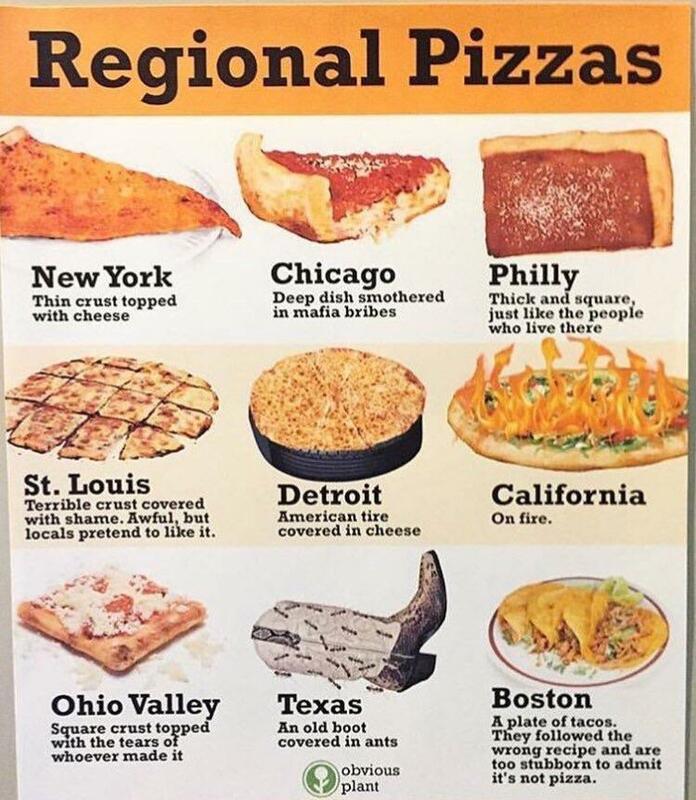 And here I thought we could unite in our Midwestern-ness and agreement that New York style pizza is disgusting, but y’all had to go and talk down on Ohio. How am I even supposed to get fat eating this? At least can we all come together and agree that the Kansas and Dakota’s favorite pizza chain, Pizza Barn, is utterly disgusting?